Just because the weather is cooling down doesn’t mean that California’s floral offerings are! Fall brings us so many wonderful things – cooler weather, gorgeous colors and many beautiful California grown flowers! It’s the perfect season for a wedding! And our CSFA florists can bring your wedding floral vision to life. They are passionate and talented and it shines through in all of their floral creations! 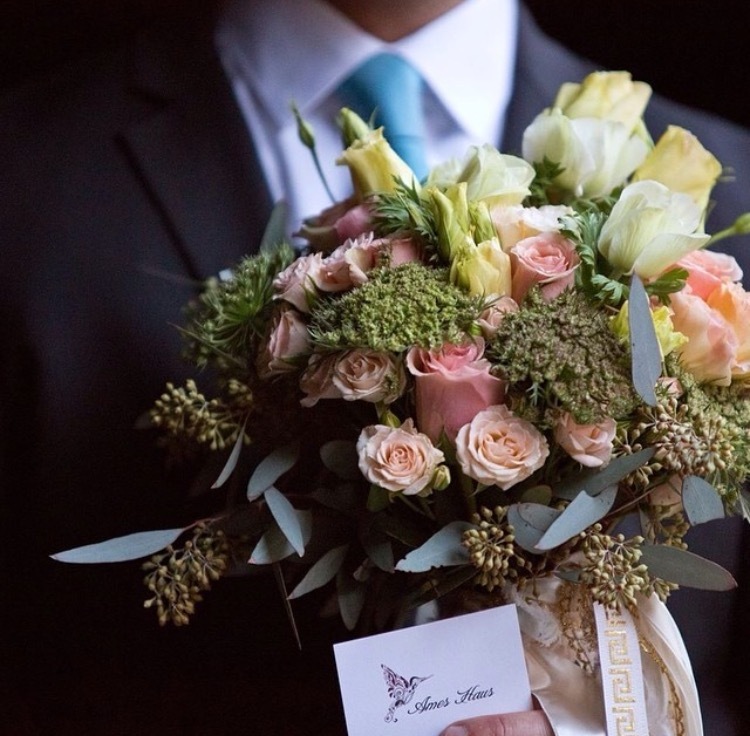 We absolutely love this bouquet by Ames Haus! Blush roses make great wedding flowers anytime of the year but the foliage in this arrangement is what makes this bouquet perfect for fall! Fall is just not fall unless there is a little bit of burgundy involved! 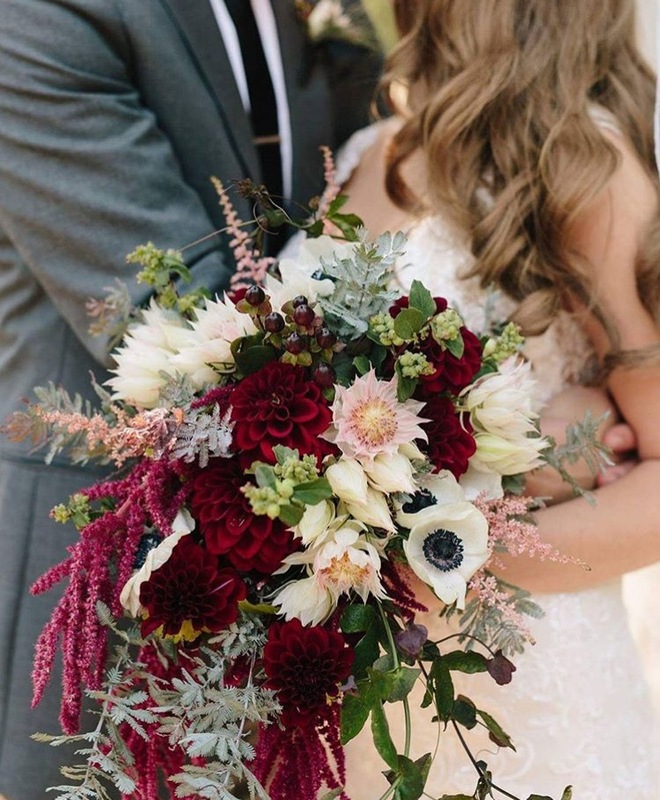 Burgundy is one of the most popular fall colors there is and it makes an absolutely gorgeous wedding color. This bouquet by Katharina Stuart is magical! Just look at all those fall flowers – gorgeous! There is no better time than fall to take advantage of the gorgeous foliage that the season has to offer! Chestnut and Vine has perfected cascading foliage. 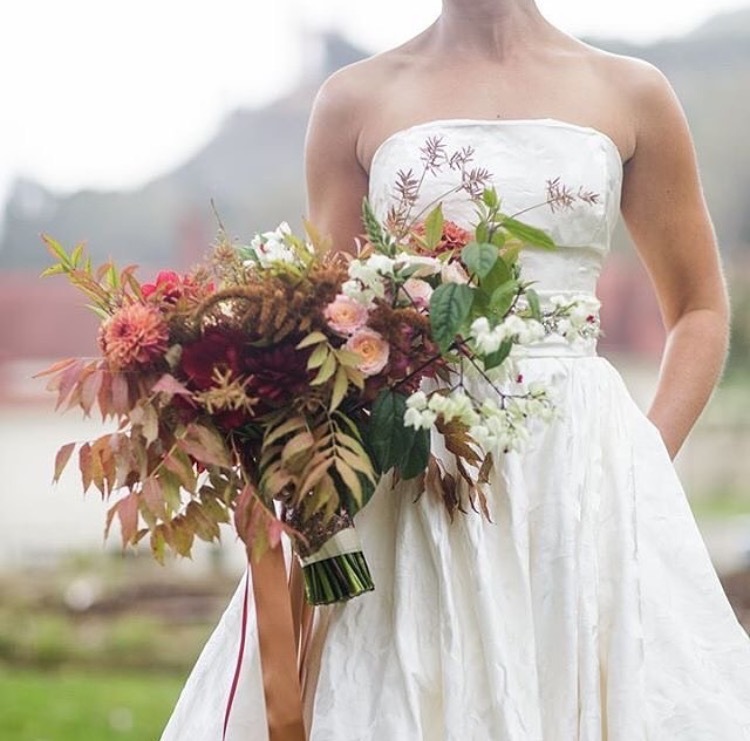 Everything about this whimsical bouquet says fall! This bouquet may be small, but it is striking! 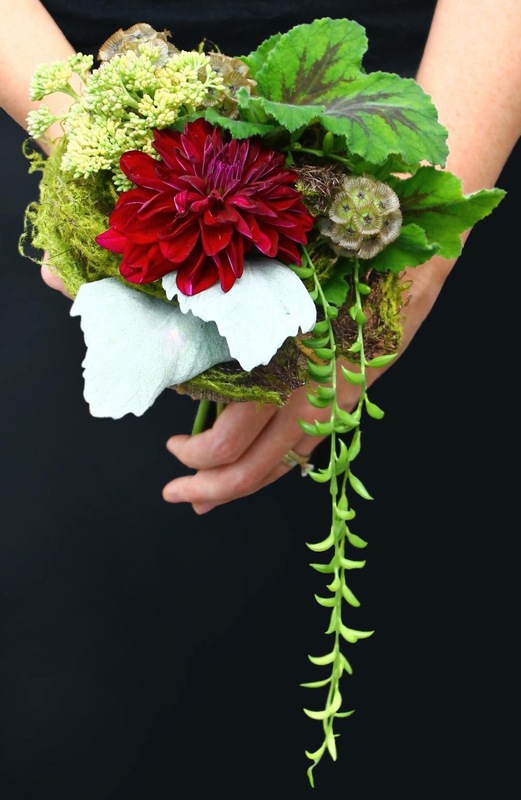 Jasmine Creek Florist nailed it with all the beautiful green blooms. The Queen Anne’s Lace and Scabiosa Pods make this bride’s bouquet enchanting! Just because its fall doesn’t mean you can’t have bright blooms. California has so many different floral varieties and colors available – if you want spring in the fall you can have it! Kaleidoscope Flowers made this beautiful table arrangement for a November wedding and it’s flawless! 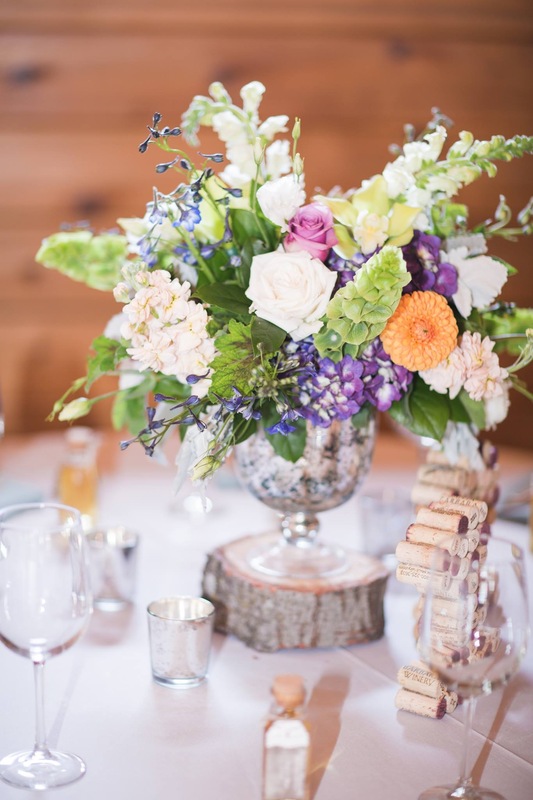 With the amazing availability of blooms in California and the talented florists we have throughout the state, your fall wedding can be just as beautiful as these! To see which flowers are in season check out our catalogue of beautiful California blooms!